Chesapeake Monitoring Cooperative offers services and free resources for water monitoring groups. Today, the Chesapeake Monitoring Cooperative (CMC) launched its new website, chesapeakemonitoringcoop.org. This website provides a platform to share CMC services and free resources for water quality monitoring groups. Created in 2015, the CMC brings together a diverse group of people who monitor water quality to provide a greater understanding of Chesapeake Bay watershed health. The CMC aims to provide technical, logistical and outreach support to volunteer-based and nontraditional monitoring groups, and incorporate that data into the Chesapeake Bay Program partnership. The CMC has developed a variety of resources now available on the site, including quality assurance project plans, standard monitoring operating procedures and an interactive database for both data collectors and data users. Outside of the available resources, the CMC offers participating groups trainings, workshops and other forms of technical assistance. The CMC also maintains the Chesapeake Data Explorer, the portal for all of the data collected by CMC monitoring efforts, and connects it to the Chesapeake Bay Program’s data sets. This new data can supplement the already established network of state and federal monitoring sites, giving a better picture of the health of the Bay and its waterways. On October 12, 2018, the Chesapeake Bay Program signed a memorandum of understanding with the CMC to even further support the citizen monitoring effort and incorporate it into the partnership’s work. 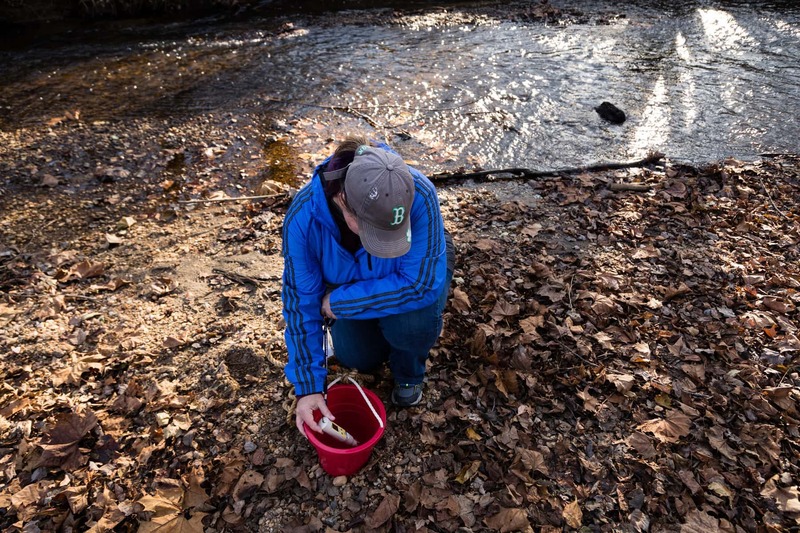 “It is exciting to have a central location where volunteers, collaborators and interested folks in stream monitoring can visit and learn about the fantastic resources CMC has to offer. From the database to training resources, the web site is the place to go.” said Julie Vastine, Director of Dickinson College’s Alliance for Aquatic Resource Monitoring. The CMC is a partnership among the Alliance for Aquatic Resource Monitoring, Alliance for the Chesapeake Bay, Izaak Walton League and University of Maryland Center for Environmental Science. Check out the new CMC website.